You’ve had burgers. You’ve had doughnuts. You may well have had a burger wedged between two doughnuts. 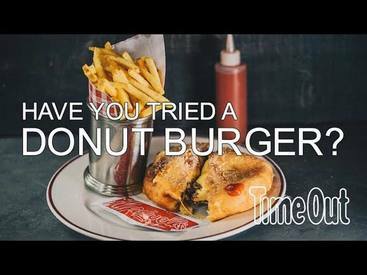 But have you ever eaten – or, er, desired – a burger INSIDE a doughnut? Anyone? Bueller? You will have to travel to London for this one!